Winners UPDATE: And the winners are... winners were all randomly drawn through the giveaway program I use! They have all been verified and emailed and I am in the process of FB messaging as well (so check your junk mail and message requests if you're on this list!) I'm thrilled to say one of our lucky winners is even from France! Winners now have 24 hours to claim their prizes! If I don't hear from these lucky ladies I'll have to pick another winner. I'm struggling with how to even start this Silhouette School post knowing that it's unlike any I've ever written. In the two and a half years of writing Silhouette CAMEO tutorials I've never been left speechless...until now. So I guess I'll just cut to the chase and tell you all that I am overwhelmed in so many ways right now! First of all, the fact that a super niche blog and Facebook page like Silhouette School can reach 100,000 Facebook followers 100% organically in the span of a relatively short time is pretty amazing. So to each and every one of the 100,000 of you who has shared, tagged, 'liked', commented and followed Silhouette School blog on Facebook...THANK YOU!! You are amazing and I can't thank you enough for being so loyal! What's equally amazing is when I reached out to sponsors, brands, and Silhouette retailers I've worked with over the years - some since Day 1 and some more recently and less frequently - every single one of them not only offered to donate to the Silhouette School 100k Giveaway, but they floored me with their generosity...to the tune of $3000 in prizes! 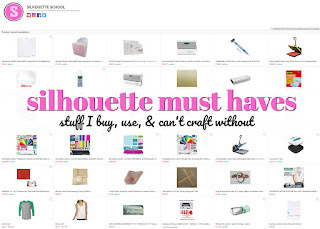 I'm talking thousands and thousands of dollars worth of Silhouette-related prizes! 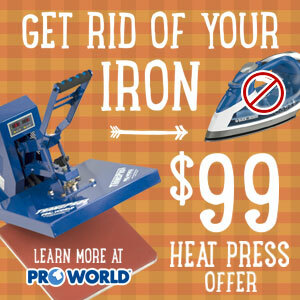 The value of the donations and the prize pack grew so quickly I knew we couldn't just have one winner...I mean does anyone need three heat presses, really? Let's spread the love...and have four amazing prize packs (including one that even our international friends have the opportunity to win). Please understand many of our sponsors are donating hundreds of dollars worth of items and shipping them directly to the winners, therefore we simply can't ask them to incur an added expense of international shipping. But ... I've found a way around it by creating one all digital prize pack! If one of the winner's randomly selected through the giveaway widget is from outside of the United States this is the prize pack they will win because all of these prizes can be delivered digitally! Sound good?! I hope so! Alright now...one more PSA before we get to what you're really here for. Every time I have a giveaway I have people who question why they must go through so.many.steps to gain entries into a simple little giveaway. First of this...this ain't no little giveaway, people...this is the Silhouette Giveaway of a lifetime! 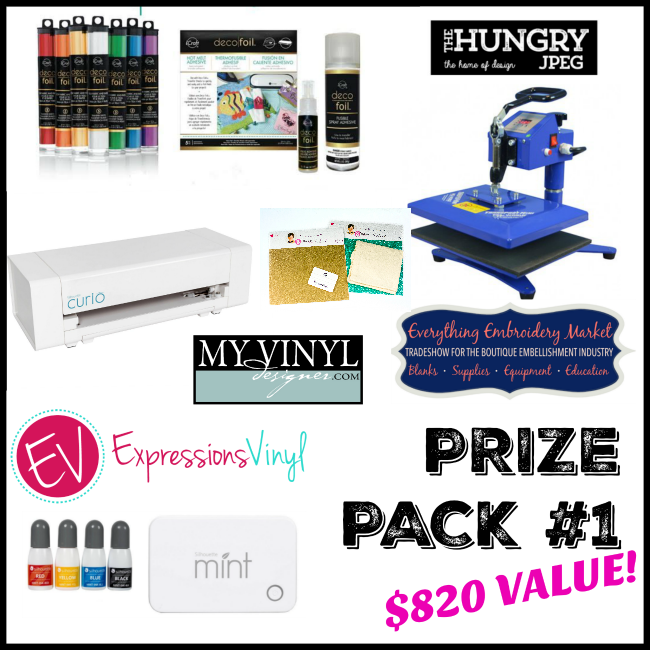 We're talking a CAMEO 3, a CURIO, a Mint, Three Heat Presses, Vinyl, HTV, supplies, ebooks, video courses and more and more and more! So please understand...our very generous sponsors need love, too. They've donated items - at no expense to me or you - and without them there's no way this type of giveaway would even be a remote possibility, let alone something I know each and every one of you wants to win!!! I think the least we can do to is recognize their awesomeness by following each of the sponsors on the social media channel of their choice or signing up for their emails. Alright now let's get this party started to celebrate hitting 100,000 followers on Silhouette School's Facebook Page! (If the giveaway is slow loading...try from your computer and know that lots and lots of lots of you are on here at the same time, so please be patient!) The giveaway will be open for a full week so you have time! Winners will be contacted by email the week of August 22 after being verified. Each winner will have 24 hours to claim their prize. If the prize is not claimed within 24 hours after the time the email was sent, a new winner will be chosen. I love making gifts for family and friends!! You are so wonderful, as well as the others who are helping this happen! I would love to finally win something in my life... especially when its a Cameo 3!!!! Keep up all the amazing work, inspiring posts, and just utter awesomeness in all that you do! My favorite way to use my silhouette cameo is for personalizing things around the house. I love using my Silhouette to cut vinyl! I love to use my Silhouette to make cute things for my daughter! I love making gifts to my friends and family! I use it to cut vinyl for baby outfits, or sign making and so on! Currently my favorite way to use my Cameo is to cut vinyl for HTV and decor projects! I use my silhouette mainly for scrapbooking but am branching out into other crafts. My favorite way to use my Silhouette is currently cutting vinyl. 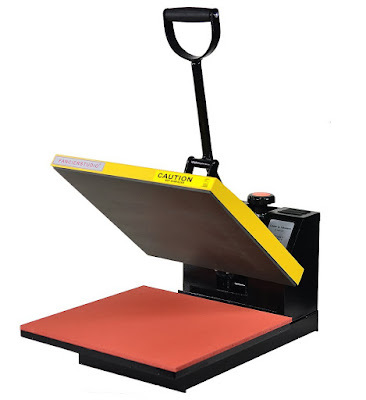 Hoping to work my way up to HTV when I get my heat press for Christmas this year! I love cutting vinyl for gifts! I love using my silhouette cameo for cutting paper designs...particularly stickers! I love being able to make all four of my children a quick shirt for an event at school! With the Silhouette, I am ready for any last minute activity to dress for! favorite way to use a cameo is for vinyl projects! Congrats! What an amazing giveaway! Making gifts for friends and family! If it wasn't for Melissa, her book, her YouTube channel and her kindNess I wouldn't be able to do what I'm doing now. 4 months into owning a cameo, not knowing how to turn it on when I got it, to now having 2 websites and consistent business is because Melissa takes the time to help us. I am so appreciative. I love using my silhouette 2! I've learned so much from you!! I meant to say your blog is so helpful thank you. First, thanks so much for such a phenomenal giveaway! I don't have a Silhouette but am dying to get one! I am anxious to try out SO many things I can't even begin to pick which is a favourite lol! Dont have a silhouette at the moment, but when I have the first one I loved to make personalized gifts for my friends and family to cherish special moments. Yes please! My favorite thing at this time to make with my Silhouette Cameo is shirts using freezer paper stencils and speedball ink! Love my silhouette and the Ultimate guide book! I mostly use mine to cut cardstock for scrapbook layouts but have just recently (thanks to you) have been making some stickers! <3 SS! My favorite way to use my Cameo is to make stencils using laminating pouches. I cut HTV, mostly for T-shirts and onesies. I love making titles for my scrapbook pages! I just received my very first Cameo Silhouette a week ago and I love it! My fav way to use my silhouette is to make large vinyl/shelf liner floor decorations. They provide a big splash, especially on a dance floor. Is there where I'm supposed to leave my "blog post comment"? Lol!!! My favorite way to use my Sil is to cut stencils for my sign painting classes. I love using my Silhouette Cameo for creating and cutting designs to make stencils for painting wood signs! Love it! 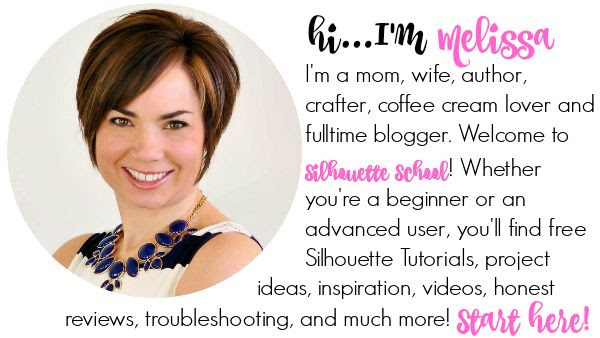 And love silhouette school blog for answering questions/problems I encounter! I love making invitations, party favors and decorations for family. My favorite way to use my silhouette is for making t shirts, mugs and personalized gifts that bring smiles to all. My current favorite way to use my silhouette is to make all sorts of awesome things for my 3 boys to use for homeschooling. Everything from tshirts to folders to schoolroom decor. My favorite way to use my Silhouette is to make things for my first grade classroom. Thirst and signs are my fav! I'm a paper scrapbooker, I would be lost without my Cameo. I honestly don't know how I scrapped without it! Wow, this contest is huge! I use my Silhouette most for cutting painting stencils, but also cut HTV and vinyl. You are amazing!!! Thank you for all that you do! You have made learning how to use the silhouette cameo so much easier and it's not so intimidating anymore!! Thank you!!! My favorite way to use my Cameo is making tshirts and cutting vinyl to use as stencils on wooden signs! 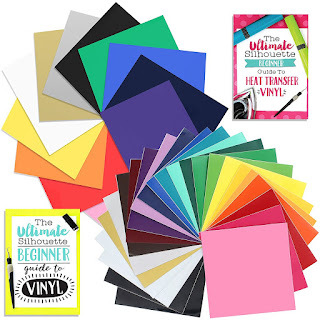 My favorite way to use my silhouette is for making all things with HTV and regular vinyl!! thanks for the give away! My favorite way to use my silhouette is to cut vinyl for home decor and for many of the teachers in my area! All crafts... Love my machine! My favorite way to use my Cameo is to cut out vinyl stickers, cut out htv for my daughters shirts, and for glass etching designs. I love to make crafts for my son's class and for my Sunday School kiddos! I use my silhouette to create gifts for others and use for my business. I am buying my first silhouette for my birthday in a couple of weeks, so I am not sure that my favorite thing to make is!! I am just excited to have one finally. I love using my silhouette to cut vinyl for my classroom bulletin boards! I love trying new things but have found the silhouette to be most helpful in cutting my costs and expanding my creative abilities with making my kid's baby scrapbooks. I mostly use mine for scrap booking. My favorite things to do with my Cameo is making beautiful homemade gifts. Love you and your blog! You are awesome! I love making wall word decor for all my friends! I love to to Htv projects. But my 70 ornaments for a sweet 16 party was fun. I really enjoy the creativity and flexibility I have with my Cameo. My favorite thing to create is something that isn't being paid for...weird, I know but I love gifting my designs more than anything. I've made almost everything you can think of and a lot of them with your tutorials. My favorite is personalized gifts. This machine is amazing and I am only using it for vinyl, wood crafts, and wall sayings are my favorite! Started out doing embroidery but now obsessed with my cameo. I love making gifts for friends and family. Oh how I love my silhouette for making custom onesies! This is such an amazing thing to be apart of! Congrats on 100k you are so amazing in everything you do and share. I truly appreciate you and the generous sponsors! I love to make things for my granddaughter! 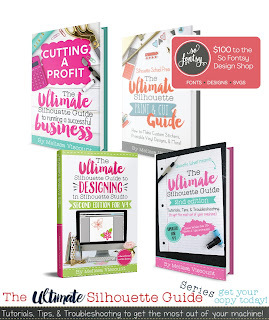 I love using Siser and Silhouette to enhance my business! Silhouette School has helped me so much. Thanks! I love making items for others. I'm must start making for myself! I love making homemade cards to send to loved ones, holiday gift tags and onsies for my baby! I love using my silhouette to make personalized gifts for friends and families, and for making my classroom look amazing! Cutting glitter flex for machine embroidery. I love using my Silhouette to make monograms! They are a great way to personalize anything in a cute and preppy way! I'm so new but so far I love using it to make my kids shirts and personalizing water bottles, school supplies. I love my silhouette cameo to do things for my daughter especially to sketch her drawings. She is an artist! Thank you for all that you do! I love making lots of things with my Silhouette Cameo, but my favorite so far was making the college logos for many senior graduation caps! I love to use my silhouette for shirts and ornaments. ^_^ I love my silhouette and everything you have done to help. Great giveaway! I love using vinyl for organizing and labeling. I love to use my Silhouette to personalize everything and anything! My favorite right now is my water bottle that goes with me everywhere! 3D paper sculptures and I have ventured a little into the world of vinyl. Making party favors & decor! 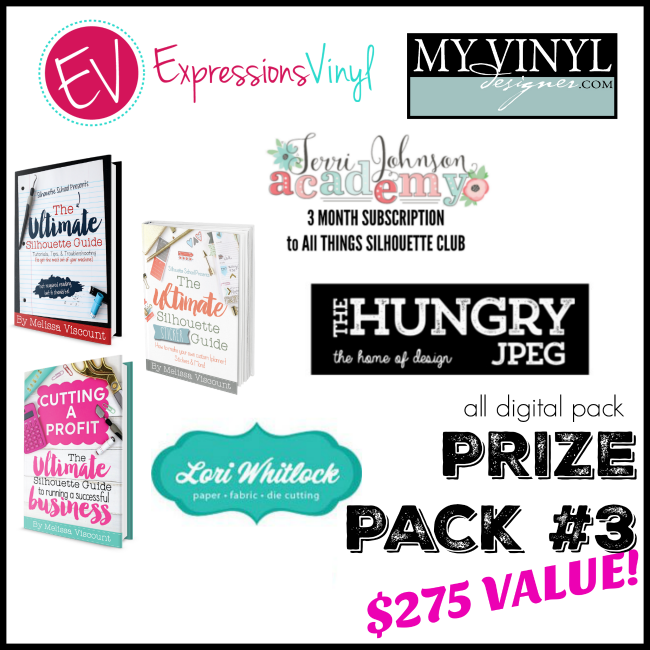 This looks like such a great giveaway! I love to use my silhouette to cut fabric and make customized clothing for my daughter. Honestly...I haven't gotten it out of the box yet. I am intimidated! I have followed your blog for a while, purchased and downloaded your book...but it's still in the box. I want to try making some Christmas presents so I'd better get practicing! I bought the Cameo (2?) I guess, because right after I bought it...there's a new one available! Hope it doesn't become obsolete too soon (like before I get it out of the box-haha). My favorite way to use my Cameo is to personalize things for my kiddos! I love to make all kinds of things out of paper and couldn't keep up without my Silhouette! Congratulation and thanks for the great giveaway! I use my silhouette to make gifts, things for my kids and grandkids and sometimes me! 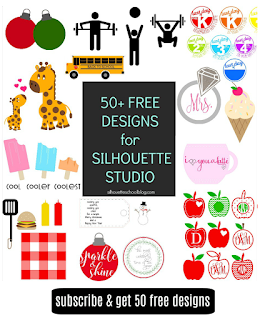 Silhouette School has been the biggest help, and I recommend her as "the" place to start! I love using my Cameo to make baby onesies and Toddler shirts. I also love to make coffee mug gifts. This giveaway is awesome! I love my Silhouette to cut stencils and make wooden and canvsas signs! still learning! Really enjoy doing stencils for primitive art crafters and vinyl decals using my Cameo. I love making different things for my family and friends. I Love to use my silhouette for making teacher gifts for my kids, and business decals for my husband. I love using my silhouette to make decals and shirts! newbie, just got my Cameo 3! I am setting it up and can't wait to try it out! One of my favorite things to make with my Silhouette is print and cut stickers. This is by far one of the best give aways I have ever seen! I use my silhouette to make personalized gifts for family, friends, and coworkers. I work in an office of 23 people so I love how fast the cameo cuts out my projects for Christmas. My favorite way of using my Cameo is card making and home decor...until recently when I gifted a Cameo to my best friend...so now my favorite thing is sharing the knowledge, tips and tricks with her! My favorite thing to use my silhouette for has always been my paper projects, scrapbooking and card making! I use my Silhouette to create things for my kids and as a small business to supplement my income. It has been the best investment I've ever made! I love being able to make such cute and personalized gifts for my friends and family. Wowsers! What a giveaway! Lately I've been using my machine to make stencils. I've used it for so much more though. I like to use my Silhouette to make things for my classroom and gifts for friends and family, like personalized floating frames and shirts. I LOVE your blog! It helps me learn more and more about my Silhouette Cameo every day. Thank you for such an amazing resource and such and incredible draw!! I also love making shirts with the heat transfer vinyl! I have a U.S. address, in case I win!! Mostly use it for paper and vinyl. Still learning what I can do with my Cameo. I don't think I can really pick my FAVORITE thing to do with my silhouette. I use it for everything! Fingers crossed for this giveaway!! What's my favorite way to use your Silhouette machine? To make gifts for friends and family! Any way I use it is my favorite. LOL I do especially love paper crafts though. I do more with paper than vinyl but love both! Get lots of compliemtnts on my crafts gifts. Trying to get the courage to try easy weed! I love using my silhouette to make decals for yeti tumblers for friends and family! Thanks for this! Papercrafting is my first love and doing print and cut is a close second! I have used my cameo for vinyl only but want to venture out into paper and also sketching. My girls and I have enjoyed the shirts, mugs, glitter wine glasses/cups, and monogrammed everything! I love using my cameo 2 to make shirts and signs. I also being able to personalize anything I want. I use my silhouette cameo for scrapbooking and making decals. I am still learning how to do more stuff with the cameo! Thank you for your tutorials and all that you do really! You make learning how to do projects so much easier. Thank you again! Love making items I can use around the house for the holidays. Also like making things for friends and family! My favorite thing to use my Silhouette Portrait for is cutting vinyl -- I monogram anything that sits still long enough. Thank you for sharing all of your knowledge with us. I love using my cameo to craft and make vinyl decals, personalized htv stuff, and crafts for my classroom! I hope to get a second cameo soon so I do not have to keep lugging it back and forth from home to school. Personalizing cups and shirts for my family and friends and making my own stencils for painting projects. Making anything for my grandchildren! My favorite way to use my silhouette is making personalized gifts for family and friends! Thank you for this giveaway! Everyone is very generous. There were no IG posts from @sisereasyweed yet but I am following them. TO make things for my 3 daughters and my friends and family! I love making things for birthdays, Christmas for my family!!! I live using it for anything I can possibly dream up to make for my family. I love personalizing stuff for my kids with vinyl! My favorite way is by far vinyl projects. I'm so in love with this machine!!! I love using my silhouette to make gifts from onsies to etching on baking dishes. I have not used it to make money yet but seriously thinking about it. Sorry forgot what I was supposed to say. Love print n cut with my cameo. Just wish my Cameo 3 would do that. I love using mine for EVERYTHING!! I use mine to make my house and surrounding so much better looking! Thank you for the opportunity to learn more about vinyl. So far I'm lacking in my skills. Hope to become better with all you share. Right now I mostly make my own stencils but have been watching and exploring all the other things the silhouette can do. Im looking forward to trying new things! I love to design and make things for my children! They feel so special having things personalized or apparel that none of the other kids have. I love my silhouette & this blog!! I love making wooden signs and shirts! I've enjoyed cutting letters and shapes with my silhouette! I love vinyl! Can't wait to try some printed htv on shirts for my girls! I love cutting htv and making things for my family. My favorite thing to do with my silhouette is to make things for my classroom, my students and the staff! I made personalized t-shirts for the entire staff for Field Day last year. I couldn't have done it without this amazing blog. It's my troubleshooting go-to! Love making Yeti decals and window vinyls! My friends love it, too! I love to cut paper crafts with my silhouette. Love to use my silhouette to make Gifts! Happy birthday to your daughter! I am new at this and your tutorial are so helpful. I am loving making signs. I love making all kinds of gifts as well as decorations. Love my vinyl crafts! I'm new to silhouette and am learning how to use my Cameo! I have used silhouette vinyl stencils to paint wooden signs. I'm looking forward to having my own silhouette to make gifts and small items to sell. I love making things with vinyl!! Anything! I would love to win this Cameo 3!!! This would help me tremendously!!!! Hands down, my favorite use for my machine is vinyl projects. Shirts, bows (vinyl on ribbon), decorating items, etc. - I love it all!